The great white shark is the largest predatory fish in the ocean. The great white shark has evolved many adaptations for hunting. It has a torpedo-like body, streamlined for speed. Its snout can pick up tiny electric pulses emitted by living creatures. 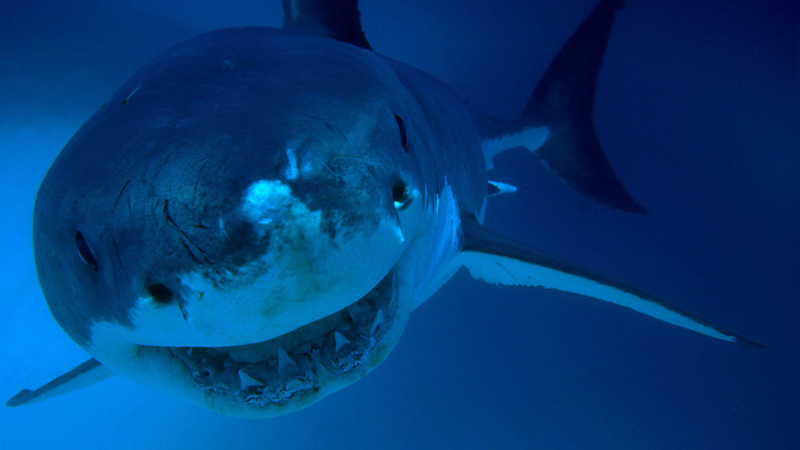 The great white shark has an acute sense of smell and can detect small drops of blood in water up to 5km away. It's a solitary fish, constantly on the prowl for prey, and has evolved many adaptations for hunting. The shark's torpedo-shaped, streamlined body allows it to cut through the water at fast speeds.